Faced with litigation by the broadband industry, the state of Vermont has agreed to hold off on enforcing its new open internet rules. Vermont and broadband industry representatives informed U.S. District Court Judge Christina Reiss in Burlington on Thursday that they also agreed to stay legal proceedings in the case. The delay will last until after a federal appeals court decides the validity of the Federal Communications Commission's repeal of the Obama-era rules. 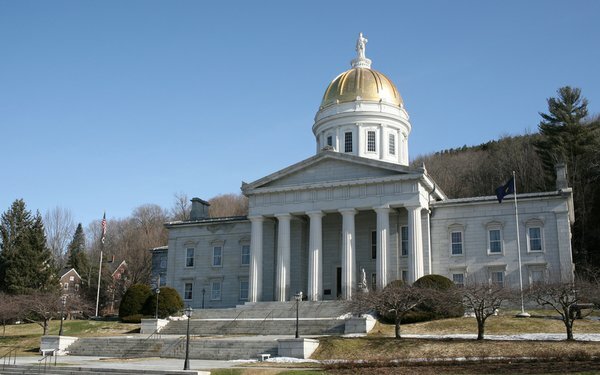 The move brings a temporary halt to a lawsuit brought last year by a host of broadband industry organizations over Vermont's net neutrality law. That measure, passed last May, prohibits broadband access providers that contract with state agencies from violating the Obama-era net neutrality rules -- including rules prohibiting carriers from blocking or throttling traffic and from charging higher fees for prioritized delivery. In December of 2017, the Republican-led FCC voted to revoke the Obama-era rules and to prohibit states from passing their own measures. Tech companies, advocacy groups and others are challenging that decision in court. The D.C. Circuit Court of Appeals heard arguments earlier this month, and is still considering whether to uphold all or part of the December 2017 order. Pai has often claimed the former rules depressed broadband investment, but other observers disagree. The pro-neutrality advocacy group Free Press has said investment by 13 major broadband providers increased in the two years after the FCC passed the net neutrality regulations. After the FCC voted to repeal the former rules, the governors of Rhode Island, New York, New Jersey, Montana and Hawaii signed orders similar to the one in Vermont, while the state legislature in Oregon passed a bill banning state agencies from contracting with broadband providers that violate net neutrality principles. Washington State passed a more comprehensive law that prohibits broadband providers operating in the state from blocking or throttling traffic and from charging companies higher fees for prioritized delivery. California enacted a broad net neutrality law that prohibits broadband providers from blocking or throttling traffic, charging higher fees for fast-lane service, and from exempting their own video streams from consumers' data caps. That measure faced an immediate court challenge by the Department of Justice, American Cable Association, CTIA, NCTA, and USTelecom. In October, California agreed to hold off on enforcing that law.